The Champions Centre Apartments have been acquired by Eagle Property. 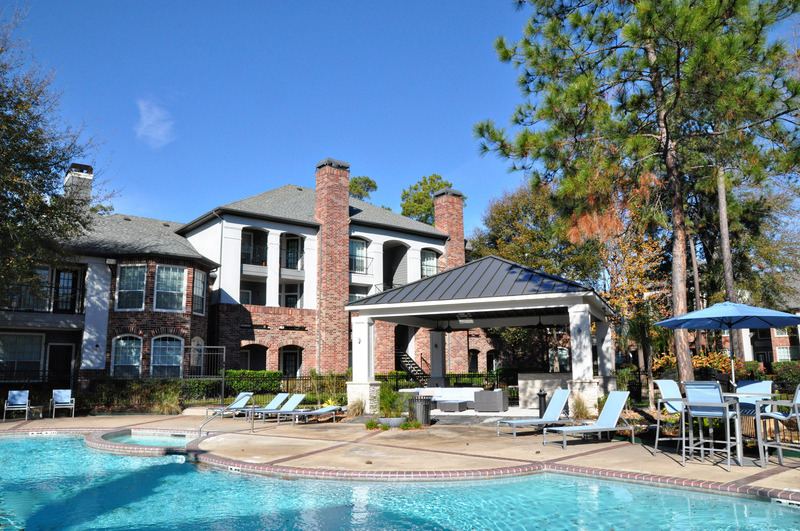 HOUSTON – (Realty News Report) – Eagle Property Capital of Miami purchased three multifamily projects in Houston. The three properties are the 312-unit Landmark at Barker Cypress; the 192-unit Champions Centre Apartments and the 246-unit Champions Park Apartments. Berkadia’s Mitch Sinberg, Brad Williamson and Matthew Robbins arranged financing through Freddie Mac’s Green Advantage program, which provides better pricing for reduction in water/energy consumption. Eagle Property will invest half a million dollars in water conservation and energy-efficient upgrades to interiors and common areas of all three properties. All three loans were lower leverage fixed-rate, with 10-year terms and five years interest only. “Landmark at Barker Cypress, Champions Park and Champions Centre are quality assets with significant value enhancement opportunities in highly desirable locations in Houston that represent a great addition to our portfolio,” said Gerardo Mahuad, Co-Founder and Managing Principal of Eagle Property Capital, or EPC. “EPC has been extremely active acquiring over $463 million of real estate and is currently on their fourth fund. We look forward to continue advising their firm and building our excellent relationship with them,” said Berkadia’s Williamson.